Generously-sized cushions with molded foam in seat provide extra softness and support. Strong molded polymer back for added durability. Upholstery contains stain-resistant protection to maintain a clean appearance. Enclosed inner steel frame with black powder coated finish. Adjustable footring. 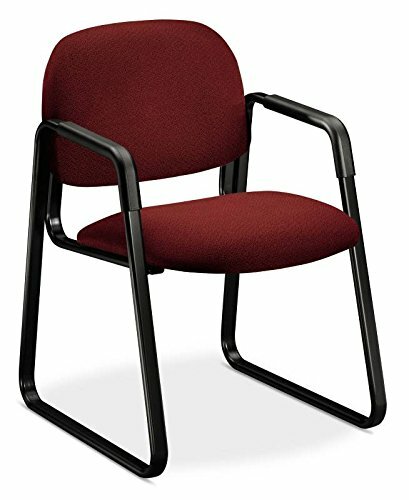 Recommended Applications: General Office amp;amp; Task Seat/Back Color: Gray Arms Included: No Pneumatic Seat Height Adjustment: Yes. Generously-sized cushions with molded foam in seat provide extra softness and support. Three separate controls allow for: back to seat angle adjustment tilt free float or locking forward tilt. Seat cushion travels independently forward and back, locks into position for optimum comfort for taller or shorter person. Strong molded polymer back for added durability. Upholstery contains stain-resistant protection to maintain a clean appearance. Enclosed inner steel frame with black powder coated finish. 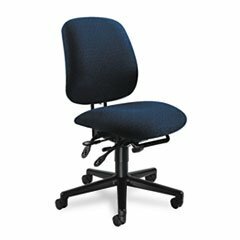 Recommended Applications: General Office amp;amp; Task Seat/Back Color: Blue Arms Included: No Pneumatic Seat Height Adjustment: Yes.